Armed with a Nokia mobile with Nokia Maps installed (with maps of British Columbia but without GPS), around a couple of Canadian dollars and curiosity I decided to get around Vancouver on foot and try to get to places that I have been (and adjacent places that I haven't been). I got off the General Motors Place / Stadium Sky-Train station and from there walked. I got to Robson Street and since I am hungry, I ate in a McDonald's branch nearby. Anyways, I checked for points of interest in my mobile phone (that is the thing I remembered), marked the place where I am at and found out that a library is nearby so I walked and reached the Vancouver Public Library. This library is located at 360 West Georgia St, with Robson St, Homer St bordering it. What is unique about this library is that it sports a coliseum-like architecture, believe me once you enter the library you will be astounded. Unfortunately, I do not have a camera with me at that time. I entered the library and just started browsing their collections. It is just amazing there are books everywhere and they offer some pamphlets / brochures about a specific topic (e.g. History of Vancouver) that can serve as a guide to what kind of references do you have to look for in the library to learn about the topic. At the topmost floor, there is an area where some artifacts about the city's past is displayed. If you are interested, you have to check it out. 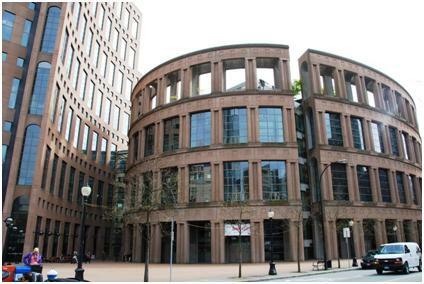 So when you are in Vancouver, Canada and you feel like your mind is hungy go to the Vancouver Public Library.